Here are top five deals on iPhone 7 Plus, iPhone 7 Plus, iPhone 6s, iPhone 6, iPhone SE you cannot miss on Flipkart Big Billion Days Sale. Flipkart has kick started its Big Billion Days sale for smartphone today wit some interesting offers on the older Apple iPhones like the iPhone 7 Plus, iPhone 7, iPhone 6S, iPhone 6 and iPhone SE. The new iPhone 8 Plus and iPhone 8 are just incremental updates to the 7 Plus and 7. Also, the iPhone X being way too expensive for most buyers in India, consumers might find the deals on these iPhones attractive. Here are top five deals on iPhones you cannot miss. Apple has announced three new iPhones- iPhone 8, iPhone 8 Plus and iPhone X. All the three iPhones will be available in 64GB and 256 GB storage variants. The iPhone 8 (64GB) variant will cost Rs 64,000 in India while the 256GB iPhone 8 is priced at Rs 77,000. 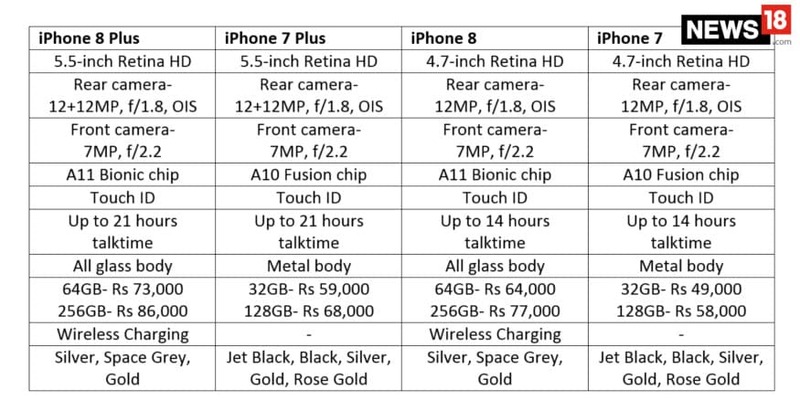 On the other hand, the iPhone 8 Plus 64GB storage variant is priced at Rs 73,000 and the top-end 256GB iPhone 8 Plus costs Rs 86,000. The new iPhones flaunt a glass rear panel and are the first to support wireless charging. The special edition iPhone X 64GB costs Rs 89,000 while the 256GB storage version costs Rs 1,02,000. The iPhone X also comes with a front and back glass design. The iPhone X comes in two in finishes of Space Gray and Silver. The iPhone X comes with a super Retina display from Apple. It’s a 5.8-inch display and offers 458ppi of pixel density. The display used in the iPhone X uses OLED technology. In addition it gets 3D Touch as well as tap on screen wake function for the iPhone X. Swipe up from the bottom is a simple gesture that replaces the home button function on the iPhone X.